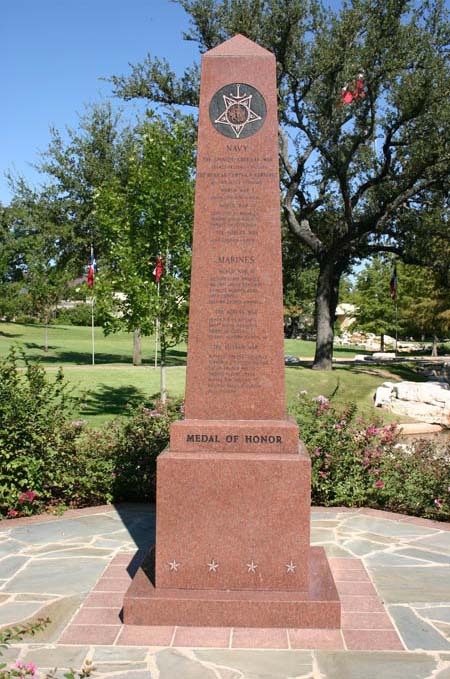 On Memorial Day in 1999, numerous dignitaries gathered at the Texas State Cemetery to dedicate a memorial to 83 native-born or adopted Texans who earned the United States’ highest award, the Medal of Honor. 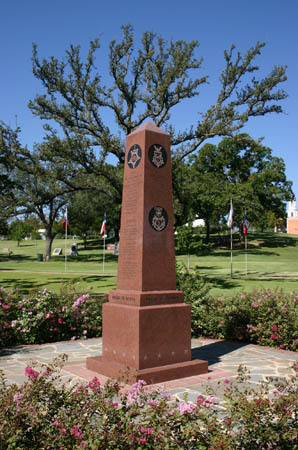 Governor George W. Bush, Lieutenant Governor Rick Perry and Speaker of the Texas House of Representatives Pete Laney gathered at the Cemetery to dedicate a pink granite obelisk listing the names of all Texans and adopted Texans who have been awarded the Medal of Honor. James Marion Logan, Jose Mendoza Lopez and several other Medal of Honor recipients were on hand for the ceremony. 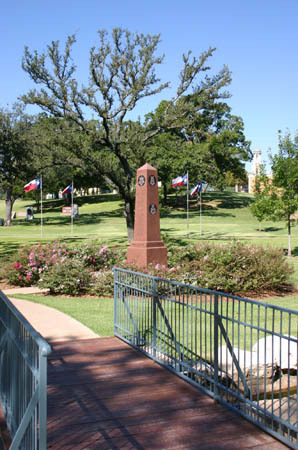 Near the monument is a burial ground reserved for Texans awarded the Medal of Honor. 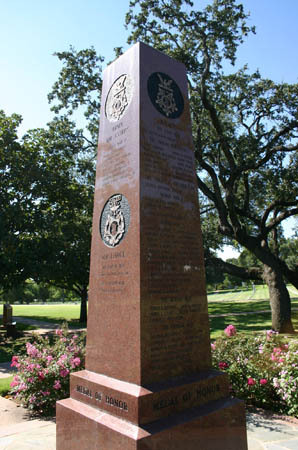 The Medal of Honor monument is the centerpiece of the Cemetery’s section dedicated to the military. 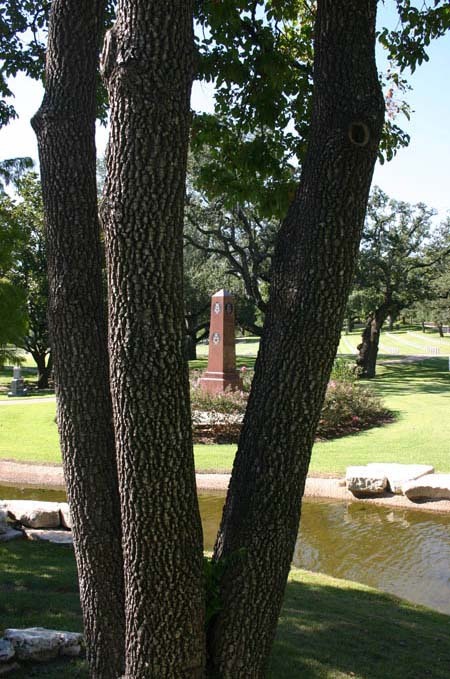 Around the Medal of Honor, obelisk is monuments dedicated to Texas Gold Star Mothers, Texas Purple Heart recipients, a monument to World War II veterans and a monument to the "Nine Men of Praha." 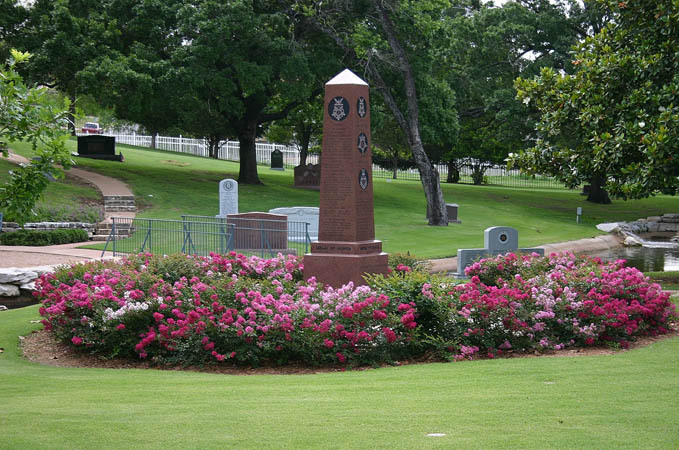 The Nine Men of Praha, a small rural town in Fayette County, Texas, died in service to their country during World War II between February 3, 1944, and February 12, 1945. 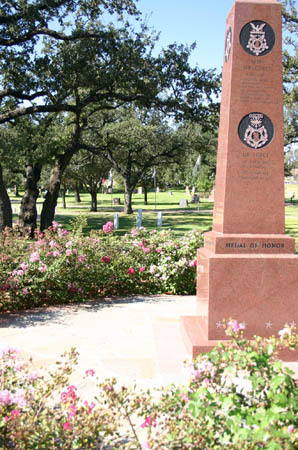 The following is a list of Medal of Honor Recipients who are located at the Texas State Cemetery. 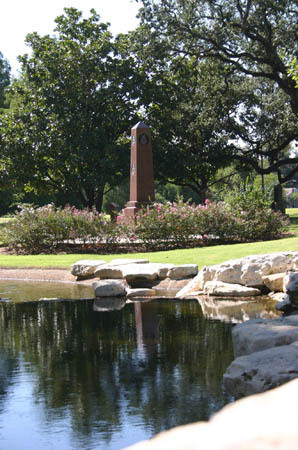 Discover the heroic deeds of Texans who have received the Medal of Honor at TXMedalOfHonor.com.